The all-new Weed Eater B230i battery-powered leaf blower is compact, super-lightweight, easy to start, and easy to use, with simple, intuitive controls. With 80 mph air speed and 250 cfm of blowing force, there's plenty of power to blow away grass, leaves, and other debris. With a hassle-free 20-volt, 2.5 Ah battery, it powers up instantly with the simple press of a button, with no pull cords, power cords, gas, oil, or fumes. This attachment-capable blower is part of Weed Eater's new 3-in-1 tool family, featuring one interchangeable 20-volt battery-powered powerhead that runs multiple tools (string trimmer and hedge trimmer sold separately). Just pull one attachment out and snap another in, to easily take on multiple lawncare tasks quickly and efficiently. 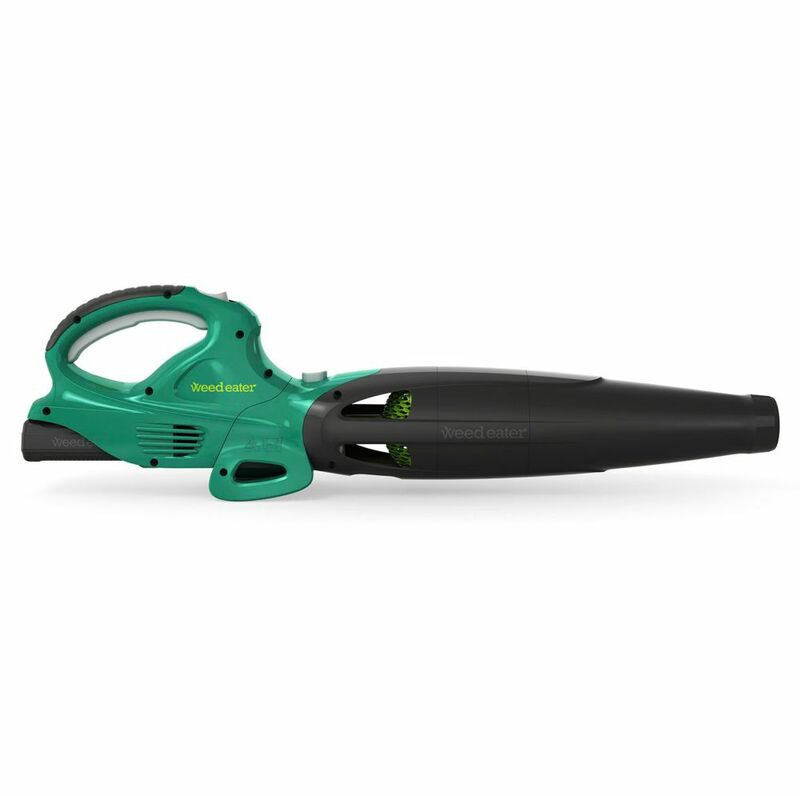 20V Cordless Handheld Blower, B230i The all-new Weed Eater B230i battery-powered leaf blower is compact, super-lightweight, easy to start, and easy to use, with simple, intuitive controls. With 80 mph air speed and 250 cfm of blowing force, there's plenty of power to blow away grass, leaves, and other debris. With a hassle-free 20-volt, 2.5 Ah battery, it powers up instantly with the simple press of a button, with no pull cords, power cords, gas, oil, or fumes. This attachment-capable blower is part of Weed Eater's new 3-in-1 tool family, featuring one interchangeable 20-volt battery-powered powerhead that runs multiple tools (string trimmer and hedge trimmer sold separately). Just pull one attachment out and snap another in, to easily take on multiple lawncare tasks quickly and efficiently. 20V Cordless Handheld Blower, B230i is rated 3.0 out of 5 by 2. Rated 3 out of 5 by speedy from This blower does a pretty good job, just wish it had a little more time before needing recharged. This blower does a pretty good job, just wish it had a little more time before needing recharged. Rated 3 out of 5 by Alex from Good only for removing dust Don't expect that it will work more than 15 min on full speed - after that 1 hour charge.Practically good for removing dust.